Companies can't seem to be getting enough of Google's Android platform with many launching smartphones in quick succession. After Indian manufacturers Karbonn, Micromax, Videocon and Intex, Tata DoCoMo has jumped into the Android league. 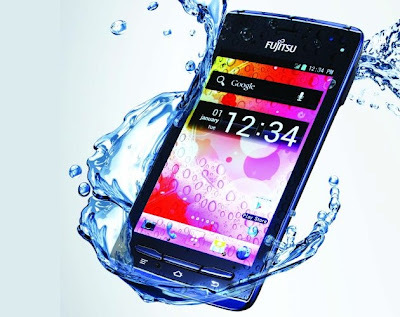 The telecom operator in partnership with Fujitsu has launched the Fujitsu F-074 Waterproof Android Smartphone in India carrying a price tag of Rs. 21,900. The device unveiled at an event in Bangalore, was launched in Japan last year as Arrows F-07D. The F-074 runs on Android 4.0 and features a 4-inch (480 × 800 pixels) AMOLED display. At 6.7mm thick, the smartphone weighs 105g. It has a 5MP autofocus rear camera and is waterproof and scratch resistant. The internals feature a 1.4 GHz Snapdragon S2 processor with 512MB RAM. It comes with 1GB of internal storage with expandable memory up to 32GB with microSD. Connectivity features include, 3G, Wi-Fi, Bluetooth 2.1 and GPS. It is powered by a 1,400 mAh battery. The smartphone is exclusively available for Tata DoCoMo customers across the brand stores in Bangalore. It comes bundled with offers from Tata DoCoMo for both voice and data usage. For Rs. 899, GSM Postpaid Tata DoCoMo customers can avail free Premium number for life, unlimited 3G data for 3 months (capped at 1GB) and unlimited local & STD calls on any network. On other postpaid plans, customers would get free Premium number for life and 1GB 3G Data for 3 months. Prepaid Tata DoCoMo customers can recharge with FRC 250 and get 1GB data every month for 2 months. Announcing the launch of this new smartphone, Deepak Gulati, Executive President, Mobility Business Division, Tata Teleservices Limited said, "At Tata DoCoMo, we have always believed to bring new and advanced technological innovations that delights our consumers. Standing tall on the fundamental tenet of simplifying consumer's life with products and services that are Uncomplicated, Refreshingly Different and Surprisingly Accessible, the new Fujitsu handset F-074 is a step in that direction. We are very pleased that we are leveraging our partnership with NTT DOCOMO to bring world's best services and devices to India and we look forward to many such alliances to further enrich our repertoire of state-of-the-art handsets."